10 top spots to hit up with new friends for grub and cocktails. Cheers! 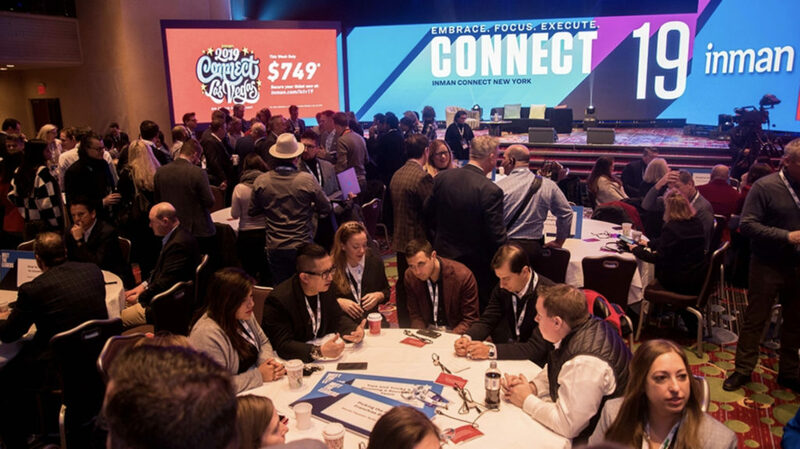 Inman Connect New York will be here before we know it, and one of the most common things we get asked here at Inman is for recommendations for great things to do with all those new friends you’ll make after the sessions break for the day. If you’re a first-timer to the city, or to Connect, how do you best prepare? Or even if you’re a Connect veteran, what are some new places you could try? So, over the next few weeks, we’ll be sharing some of our favorite places to grab a drink, how to navigate Times Square and life at The Marriott Marquis, and some things you just shouldn’t miss. We’ll start out with some of our favorite drinks and dining recommendations in and around Times Square for connecting either for lunch or in the evenings. We hope they’re helpful for you in planning your week with us! A true hidden gem of a dive bar just off Times Square, and tucked away enough not to attract too many tourists, Jimmy’s Corner is run by a former boxing cutman who became a gym owner and then a bartender. Jimmy still often hangs out at the bar and loves to share some of his great stories. The walls are covered in boxing memorabilia collected over many years, but be warned, there’s not a whole lot of space in there for a big group. Situated on the 48th floor of the Marriott Marquis, this revolving restaurant and bar offers amazing views of Midtown Manhattan, and is particularly spectacular at night. Check it out as place to grab an early evening cocktail with friends. Our pick from the bar? The “View Fizz,” which is vodka, mango schnapps and sparkling wine. New York’s definitely not known for its BBQ, but this is as authentic as it gets in Manhattan. Just across the street from the Marriott Marquis, it’s an ideal place for dinner and some delicious comfort food. Just look for the enormous neon sign right outside. Keep in mind that this place can get busy, so either make reservations, or head there early in the evening. One of the best kept secrets in Midtown, especially for its incredible lunch specials. Just a few blocks from Connect on 8th Avenue, this Thai restaurant serves up incredible pad Thai, curries and dumplings in a stylish setting. We’d recommend going there for a quality, inexpensive lunch to fuel up for some of those afternoon sessions. Strong cocktails set in a beach hut, bamboo and tiki-themed environment downstairs (just look for the big yellow surfboard if you can’t find it), Reunion is where you go to hang out after a long day, sip a few Coronas, and enjoy some bar snacks. Our pick? Don’t miss the fish tacos. One of the more famous restaurants in the theater district, Sardi’s is just a short walk from the Marriott Marquis. Here you can grab an early evening cocktail before catching a nearby show. It’s most famous for the incredible character portraits that cover its walls. If it’s a traditional Irish pub you’re looking for in New York, this is one of the best. A solid menu filled with Irish fare, this is the place to grab your fish and chips, shepherd’s pie or chicken pot pie. The beer is cold, the customers are happy, and it’s a great place (and big enough) to bring a larger group. Another hot spot for lunch, this is a collection of food stations assembled into one spot, where you can graze between fresh sushi, noodles, tacos, burgers, or some incredible smoothies. Our favorite are the lobster rolls from Luke’s Lobster. Be warned, as convenient as this place is, it can get pretty busy and there’s limited seating. You’ll feel like you’ve stepped back in time a la Mad Men at this classic Manhattan cocktail and piano bar located inside the Hotel Edison. Go for either the Dark & Stormy or an Old Fashioned to unwind after a long day. A Victorian-themed restaurant and bar just north of Times Square between 7th and 8th Avenues, Lillie’s and its decor will take you to another era. Everything on the menu here is wonderful, but especially the steak frites. Reservations are a must, as this place can get busy, but it’s well worth it. Your dinner gang won’t be disappointed. We hope you find these recommendations helpful in planning your upcoming trip to Connect, and we’ll be sharing more tips in the next few weeks for navigating the hotel, breakfasts, shopping, sightseeing and more. See you soon!